Doctors for the Environment Australia indicates that the government’s position is based increasingly upon devious assumptions such as reduced land clearing when it is increasing, and on shifting the time scale for targets. It is clear that Australia is not on track to deliver its meagre target of 26-28% reduction by 2030. No doubt we will hear once more how the Emperor is well clothed, when in fact he is starkers. Our government shows no concern for our Pacific Island neighbours who face inundation and for many other countries which are taking concrete actions to reduce emissions. Climate change is regarded as one of the greatest health threats faced by humanity this century. 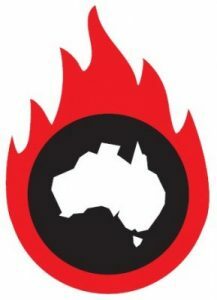 Australia is already experiencing the increase in flood storm and fire that many other countries have already faced as major disasters. In medical terms the government is negligent. Freeloading confers distrust which infiltrates many aspects of ability to operate internationally. The government is skating on thin ice no doubt caused by global warming. The performance of the government is reprehensible and in any democracy that functions on the basis of responsibility there should be resignations.